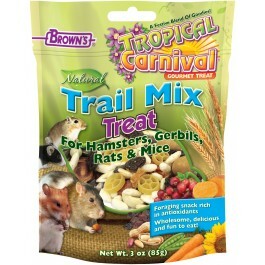 Tropical Carnival® Natural Trail Mix is a great snack, treat or reward for hamsters, gerbils, mice and rats. 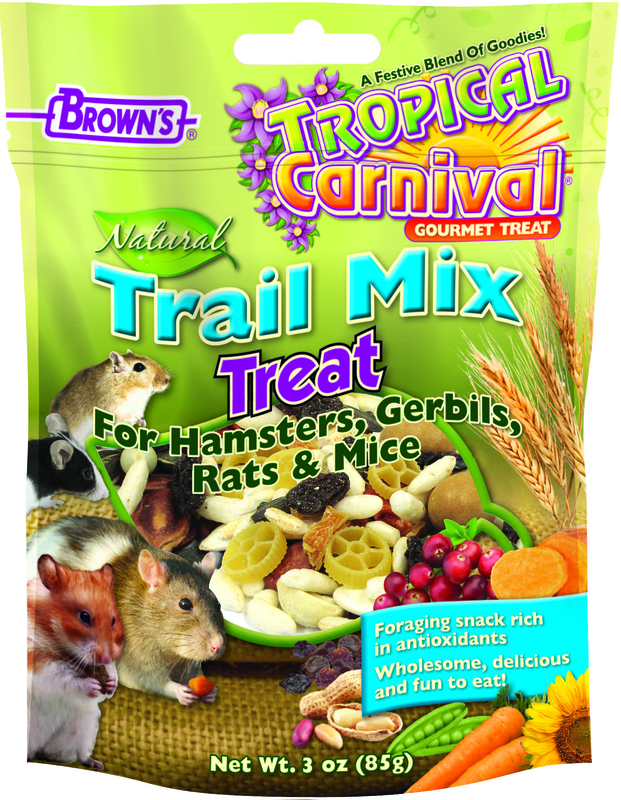 We’ve blended a medley of irresistible natural ingredients that add variety to your pet’s diet. What a great way to reward your pet just because you love them. It’s a healthy treat too! We’ve added some very special ingredients such as carrots, sweet potatoes and cranberries. 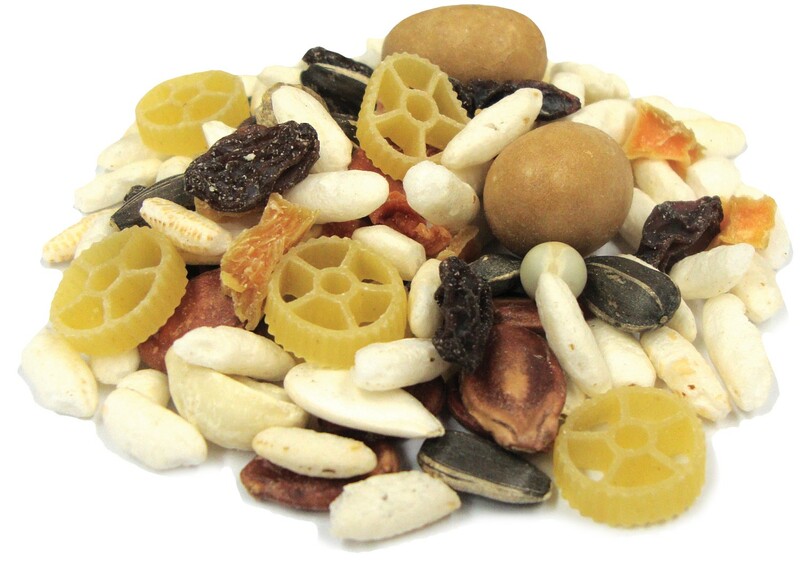 These ingredients are all rich in nutrients and benefit your pet’s overall well-being. 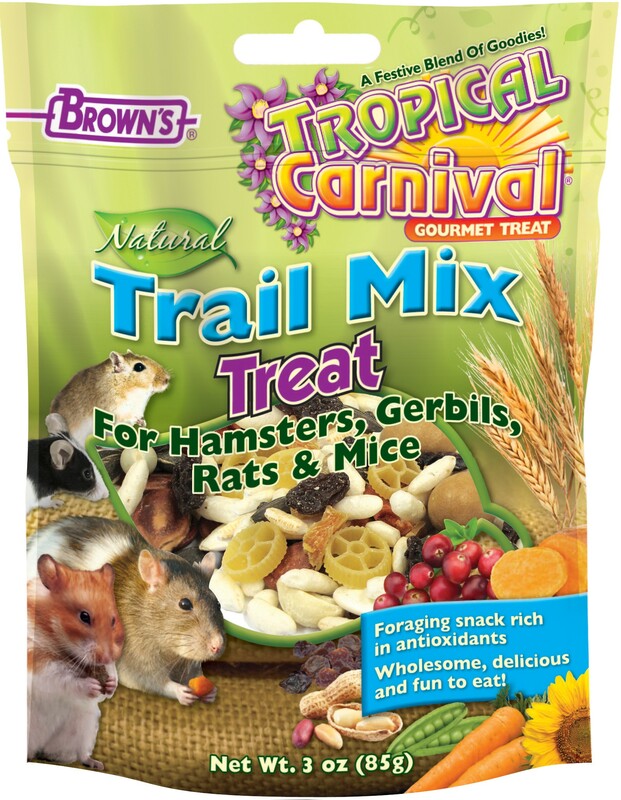 • Wholesome, Delicious & Fun to Eat! Peanuts, Stripe Sunflower Seeds, Green Peas, Raisins, Pumpkin Seeds, Watermelon Seeds, Squash Seeds, Wheat Flour, Corn Flour, Corn Starch, Dehydrated Blueberry, Dehydrated Cranberry, Dehydrated Sweet Potato, Fruit (Concentrated Orange Juice, Banana Puree, Strawberry Puree, Apple Puree, Pear Puree), Fructans, Sugar, Pectin, Palm Fat, Malic Acid, Fruit and Vegetable Juice (Natural Color), Lemon Concentrate, Ascorbic Acid and Citric Acid.